or click the Contact button below. 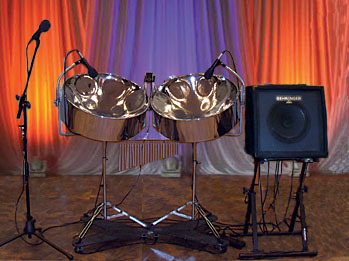 100/50 watt acoustic system for smaller intimate events. Plan your event early and try and book a few months in advance, especially during the peak summer season and on weekends. All live performances are booked on a first-to-sign contract basis. 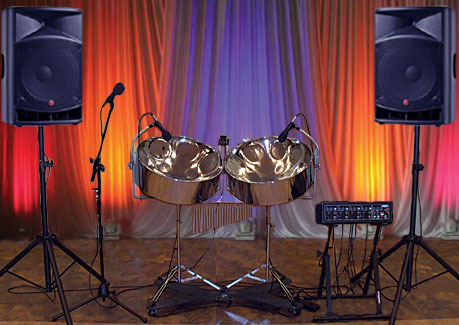 Steel drums and equipment cannot be set up on grass or bare ground, to prevent large speakers from possible falls. If weather conditions are a possible issue, please make arrangements for an alternate performance site. Musician usually arrives about an hour before play time. Multiple hour performances are usually 45 minute sets with a 15 minute break in between.